Working with David Jacobs and Level 3 Fitness has enhanced my life in so many ways. I have gone from herniated discs with nerve damage and frequent muscle cramps to biking and walking around Denver pain-free. I even do push-ups, squats, and other exercises when I walk around City Park. I know I move better now than I did 15-20 years ago and that’s why I keep going to Level 3. Neil, we’ve just returned from our epic hike, and I am so grateful for you! I completed the 270 miles without pain or injury and felt great as we walked the last mile into the last town. Thank you for helping me to prepare and teaching me enough to help me ward off little issues as they emerged. I did my exercises every morning before setting off, and at the end of the day as well. So — big thank you from both of us!!! 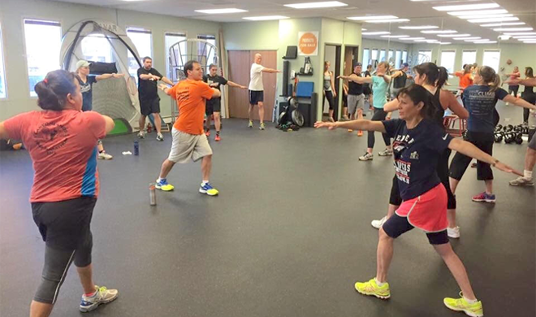 We asked: How Is Level 3 Fitness Different Than Other Places? I've had the privilege of working with Gail as my fitness trainer for the past 16 years - she is excellent! Her energy and wisdom inspire my workouts! Gail's insight and vast experience have been of great benefit in my rehabilitation from sports injuries over the years. I'm so fortunate to have such a multi- talented coach! 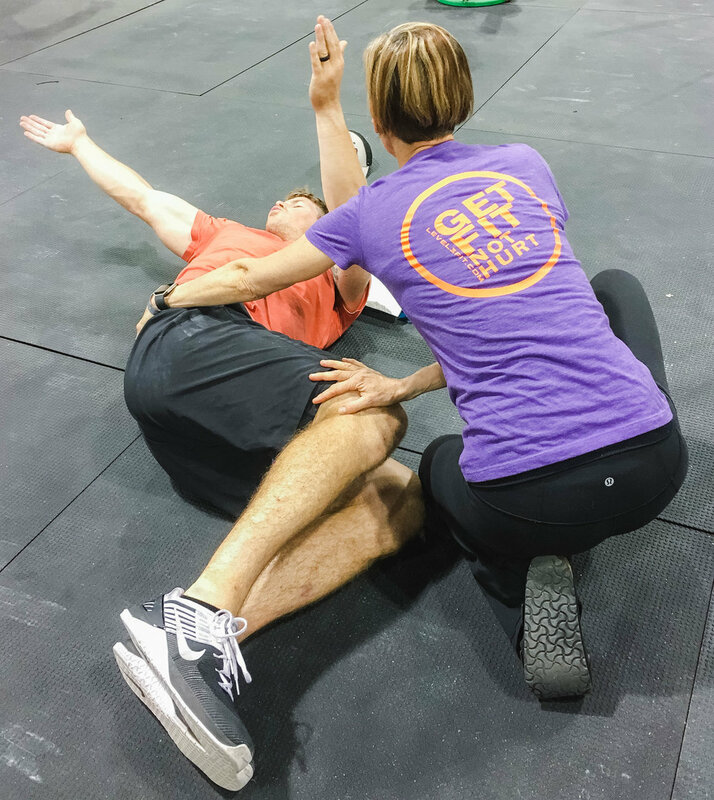 We asked: What Is Your Favorite Part Of Training/Rehabbing At Level 3 Fitness? Approximately six years ago, I was diagnosed with Spondylolithesis. It is believed that this is a stress fracture in the lower back that has never healed. This often leads to chronic back pain.\n\nI saw two different physical therapists over a number of months without relief. Both my internist and orthopedic surgeon recommended surgery. Gail Ausbun was my last attempt to avoid back surgery. I worked with her twice a week for a year. With each week and month, I improved to the point that I could live a normal life. Gail not only relieved the pain in my back but she taught me many valuable skills to maintain my recovery. We have worked off and on for the past several years, particularly when I have had a flare-up or my back gets out of alignment. Gail couldn\u2019t cure my Spondylolithesis. It is a condition that will always be a part my back structure. However, she did teach me how to live with this condition in the fullest way. Now, I do aerobic and weight training four to five days a week and at age 62, I am now able to enjoy most days without discomfort. I credit Gail with my recovery. When I first started with her, she made me no promises. She is certainly my "Miracle Worker". I strongly recommend her and I believe she is a very special therapist. I went to a doctor because I was having excruciating foot pain. It felt like I had a broken bone in my foot. He recommended I get an orthotic and so I went to see Neil. He looked at my feet and legs as well as the wear patterns on my shoes. I stood on his machine that took 3D pictures of my feet and looked at what happened when I walked. It was really cool. I got my orthotics about a week later and have been running in them for about 2 months. I do not have any foot pain anymore. My family and I live a very active Colorado lifestyle and Jen has been an incredibly valuable part of my overall fitness routine. Her knowledge of how the body works and how to strengthen it to keep me away from injuries is incredible... and for the times my body has needed some injury recovery, she has known exactly what to do. I would recommend her services to anyone.